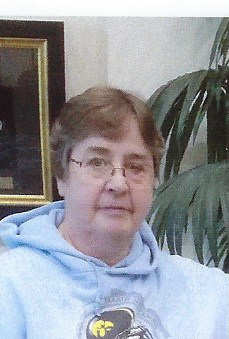 Susan “Susie” Marie Beenken, 66, passed away on Saturday January 26, 2019 at her home in Hazleton, Iowa. Visitation will be from 4:00 to 7:00 pm on Friday, February 1, 2019 at the Geilenfeld Funeral Home in Oelwein. Funeral services will be on Saturday February 2, at 11:00 am also at the Geilenfeld Funeral Home with Pastor Tom Wilson officiating. Burial will be at Woodlawn Cemetery in Oelwein. A memorial fund has been established. Susie was born on June 7, 1952 in Iowa City, Iowa, the daughter of Edward and Neola (Bloxham) Beenken. She grew up on a dairy and hog farm west of Dunkerton where she attended the Dunkerton High School. She later graduated from Hawkeye Community College. After living in Minnesota for a while, she returned to Northeast Iowa. One day she met Beryl Latham and they became a couple from that point on. She worked at John Deere in Waterloo as a fork lift operator. Susie enjoyed the Hawkeyes, garage sales, pro wrestling-WWE & WWF, traveling and especially her family. The last few years of her life were very special, filling a lot of her bucket list with the help of her family and friends, like seeing Frankie Valli with her niece. She will be dearly missed by all who knew her. Susie is survived by her spouse, Beryl Latham of Hazleton; a brother, Joseph (Sheryl) Beenken of Cherokee Village, Arkansas; a niece, Valorie (Tom) Wilson of Auburn, New Hampshire and their five children (great nieces and nephews), Olivia, Chloe, Benjamin, Andrew and Ethan; special granddaughters, Tiffany (Eric) Zeiser and Nichole Barstard; and her in-laws, Joan Stolfus and Carol Nielsen both of Oelwein, Kenny (Marilyn) Latham of Catlin, Illinois, Bea (Ted) Leonard of Winterset, Iowa, Linda (Mike) Steil of Fairbank, Jon (Bev) Latham, Mary (Harry) Ritter and Lowell (Dawn) Latham all of Oelwein and many nieces and nephews. She was preceded in death by her parents, Edward and Neola and several aunts and uncles. Went to school with Susie and she was a very loving and kind person I pray that she is at peace with her LORD! Our thoughts and prayers are with you all. Sue was such a nice person to me and my family. She will be missed.